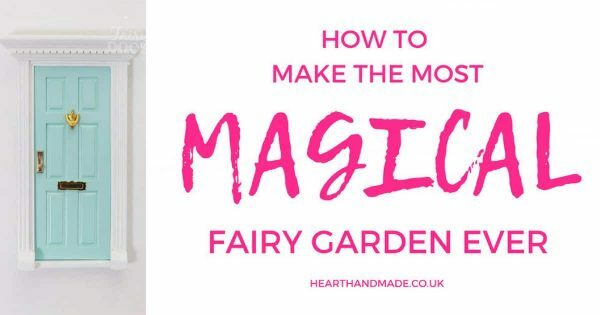 How To Make The Most Magical Fairy Garden Ever! 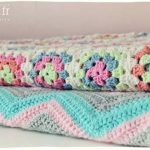 The chances of you being here can be either you are looking for some DIY fairy house ideas to build one for yourself or for your beloved kid, who a die-hard fan of fairy is gardening. 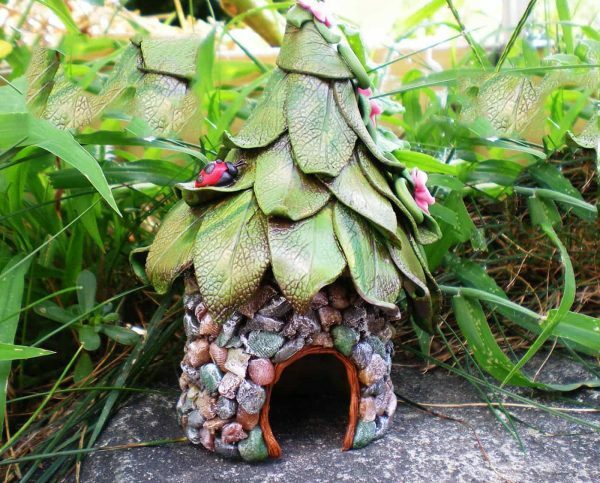 One can say that a fairy house is the flagship structure in a fairy garden – this is true. Though the fairies live happily in the flower meadows or in tree stumps, they will definitely appreciate the comfort of a beautiful house or cottage dedicated to them. 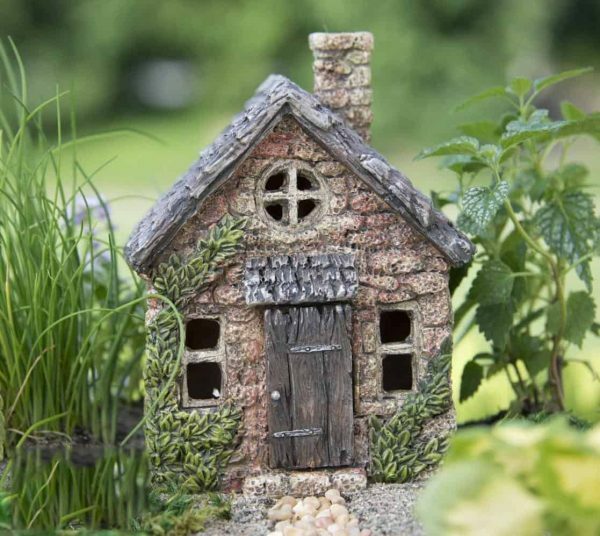 You may find a variety of fairy houses and cottages in stores with incredible details that are up for sale but also at some point they are expensive. One may opt for handmade or smaller houses for their fairy garden container ideas if the budget is small. You do not need to look for large castles or towers for your fairy garden when they are container based like in a pot on a patio. So you will need decide the size of the fairy house in ratio to the entire fairy garden. Such ratio will make the fairy garden look symmetrical from all directions. It’s easy to think that building a fairy house is not that easy or that if you build a fairy house, somehow it won’t look like a professional one – that’s nonsense! I am going to prove you wrong. In order to build such a fairy house, you need to spend money almost to nothing. Building this fairy house might take some extra time when you are on a mission of building an entire fairy garden. Though it will take quite a while, the result will be unique and magical with your own personal touch. • At first, you will need to draw the shape of the front-side of the house on a card cut out the shape with the scissors following the pencil lines. Then superimpose it and again, draw outer lines and cut it. This way, you will get the front and back side of the house. • Following the first step, cut out the side parts of the house. • Now, using the hot glue gun attach all the four parts carefully. • Use hot glue to attach the driftwood around the border of the house to strengthen the structure. • Make the windows and a door in the shape you prefer. • Paste contact cement on the walls of the house and paste the pebbles one by one slowly in a Symmetrical manner. • Break small portions of rotten wood and place them inside the frame of the door and windows so you can create a gorgeous beach cottage effect. • Finally, keep it outside under the sun to dry. • First of all, mark the entrance and windows you want to have in your fairy cave with a marker. • Now with the safety knife cut out the plastic according to the shape you have drawn. • Put the bowl upside down and paste the light coloured pebbles with a bit of cement beneath each pebble, in this way so you can cover the whole bowl. • Now to add some highlights, paste the dark coloured pebbles with cement on the side of the bowl, above the window and the door. • Place the fairy cave outside to dry thoroughly. You are done with two amazing hand-made fairy houses. Now you can use any of the fairy houses you want in your fairy garden. So don’t forget to invite the fairies! Place a welcome home sign beside the house because you want them to know the house is for them! Fairies are a gift from our own imagination so there are no bound rules for these kinds of stuff. Anyone can make or build these pieces of stuff as they like. For example, you could take a broken piece of tile and put a moss or some leaves over it to make a roof. Then draw a door and a couple of windows, and it is a fairy house! The options are limitless because your imagination is infinite. Raul H. Powel is a well-rounded blogger who has a wide variety of interests. He specializes in doing in-depth research for every garden. He notorious Write, Editor, Blogger. Love to gardening. He currently is a blogger for Earth Fairy in a genuine effort to provide the best quality content to his readers. 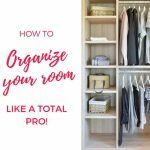 How To Organise Your Bedroom Like A Total Pro! « It’s All About The Free Craft Course! Get Access Here!